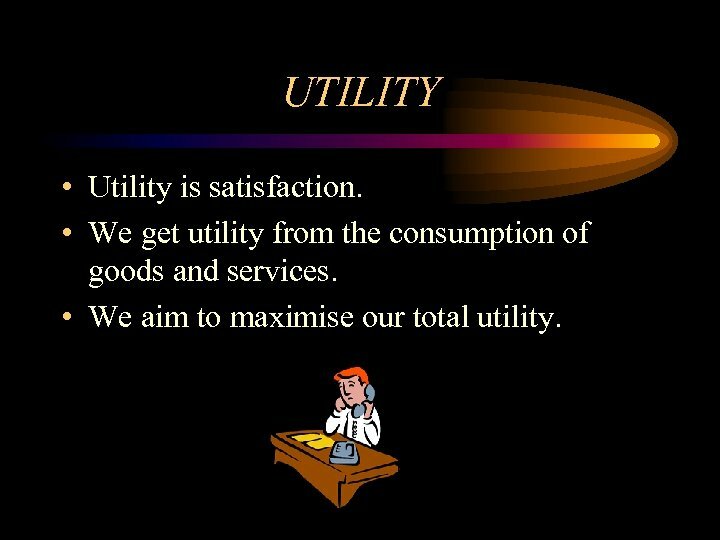 UTILITY • Utility is satisfaction. 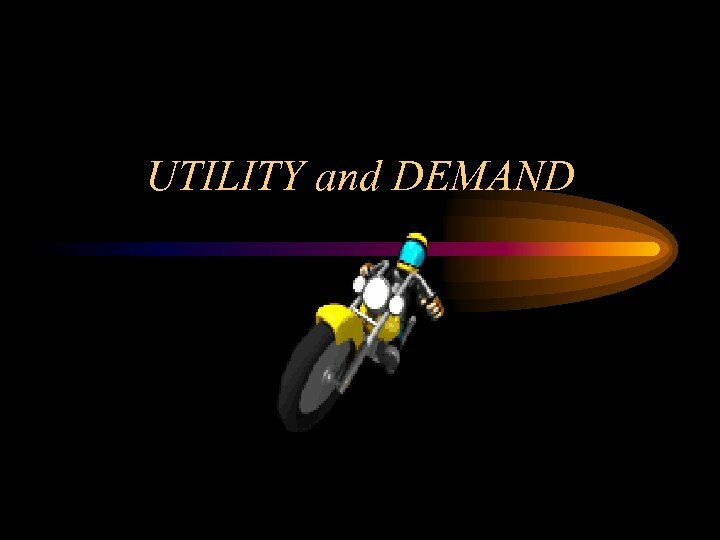 • We get utility from the consumption of goods and services. • We aim to maximise our total utility. 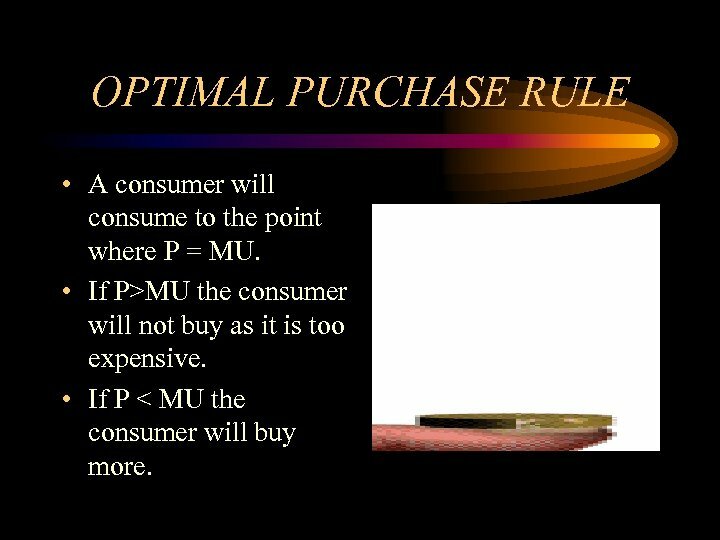 OPTIMAL PURCHASE RULE • A consumer will consume to the point where P = MU. 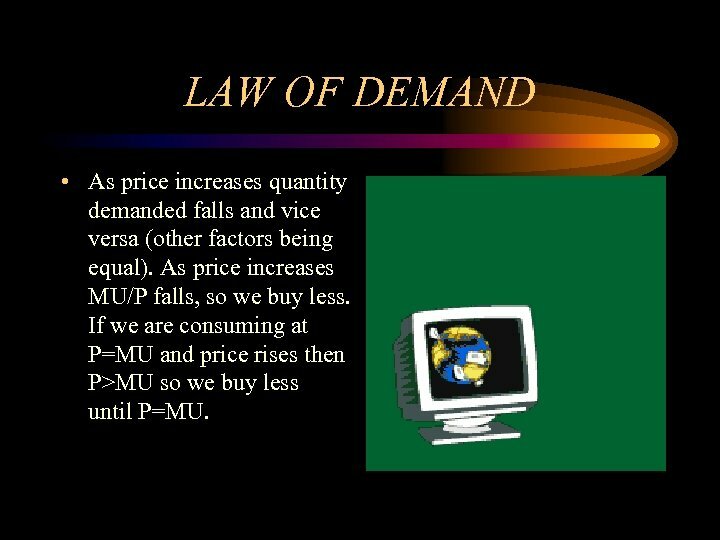 • If P>MU the consumer will not buy as it is too expensive. • If P < MU the consumer will buy more. 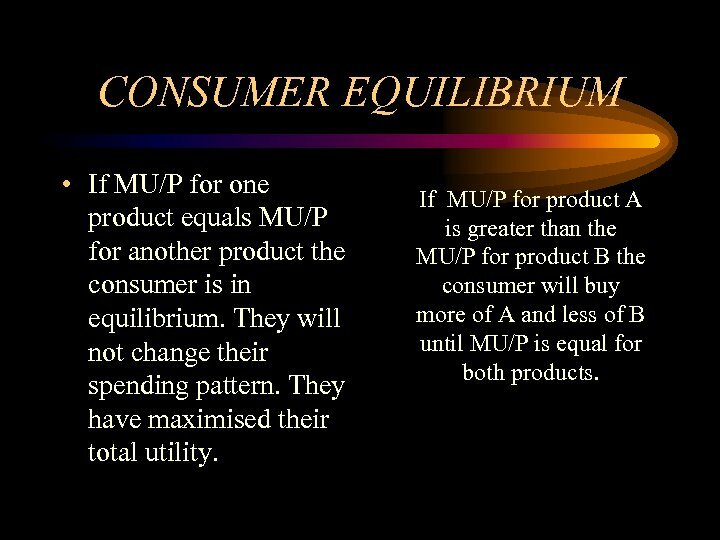 CONSUMER EQUILIBRIUM • If MU/P for one product equals MU/P for another product the consumer is in equilibrium. They will not change their spending pattern. They have maximised their total utility. 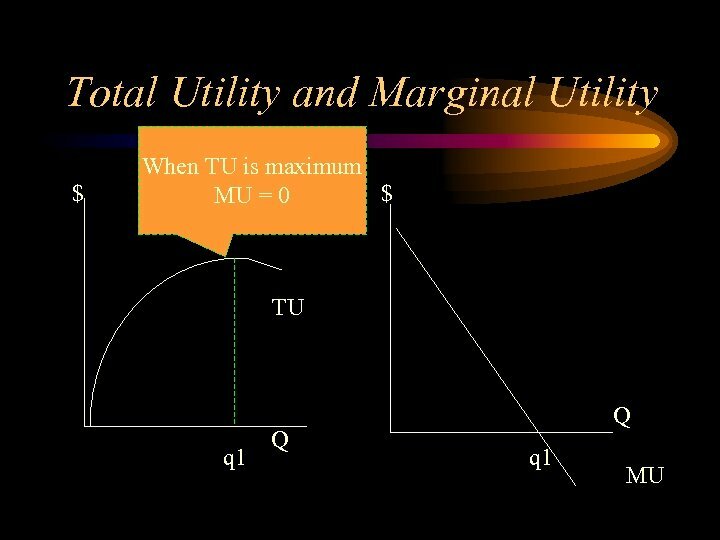 If MU/P for product A is greater than the MU/P for product B the consumer will buy more of A and less of B until MU/P is equal for both products. 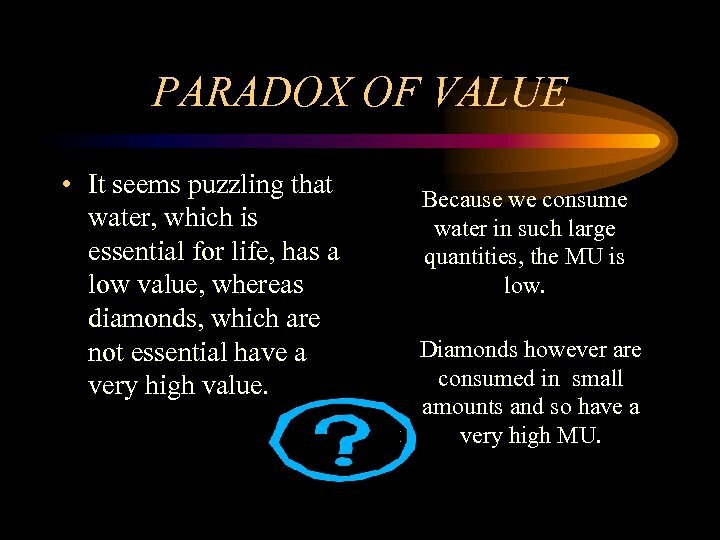 PARADOX OF VALUE • It seems puzzling that water, which is essential for life, has a low value, whereas diamonds, which are not essential have a very high value. Because we consume water in such large quantities, the MU is low. Diamonds however are consumed in small amounts and so have a very high MU. 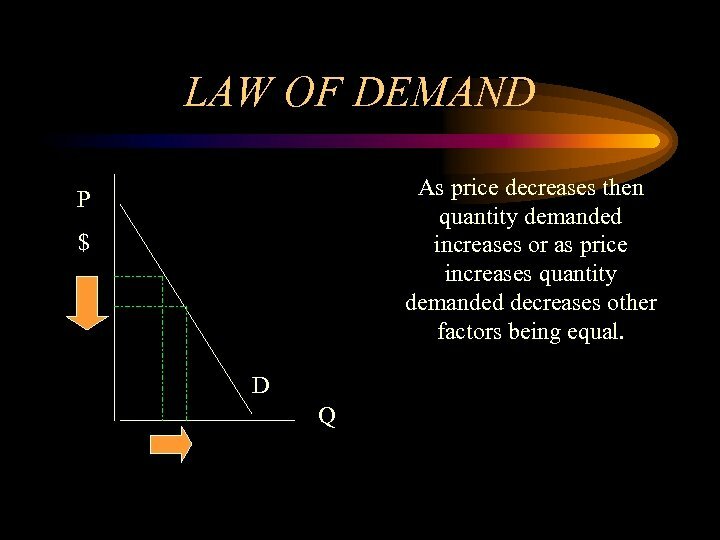 LAW OF DEMAND • As price increases quantity demanded falls and vice versa (other factors being equal). As price increases MU/P falls, so we buy less. 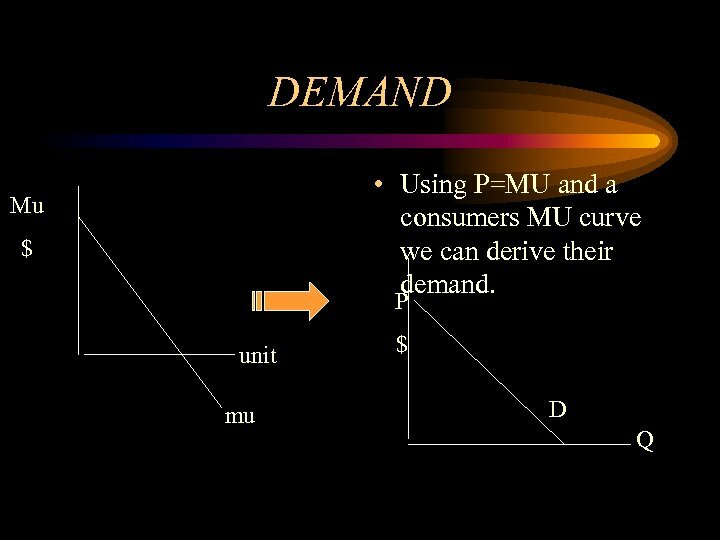 If we are consuming at P=MU and price rises then P>MU so we buy less until P=MU. 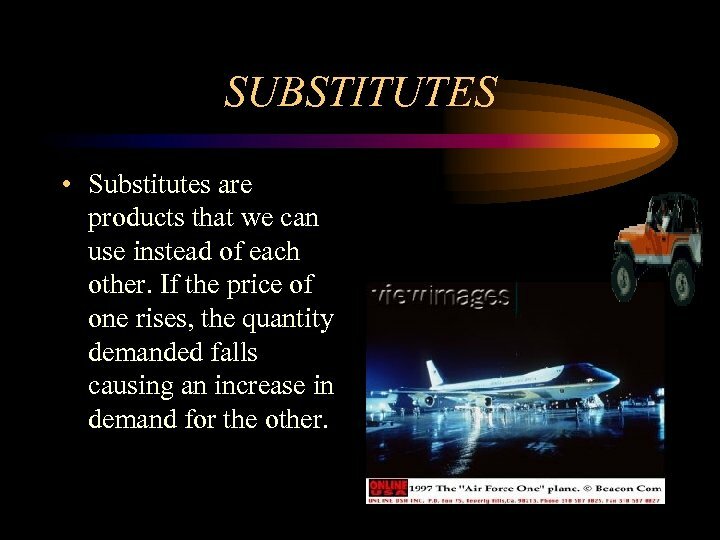 SUBSTITUTES • Substitutes are products that we can use instead of each other. 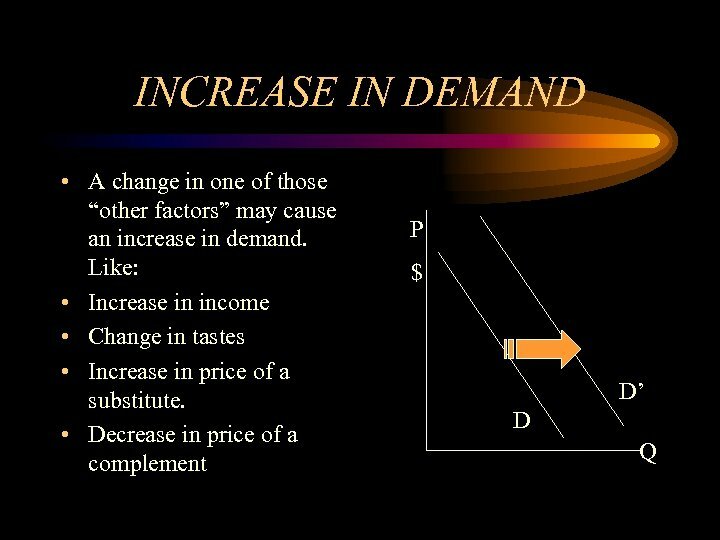 If the price of one rises, the quantity demanded falls causing an increase in demand for the other. 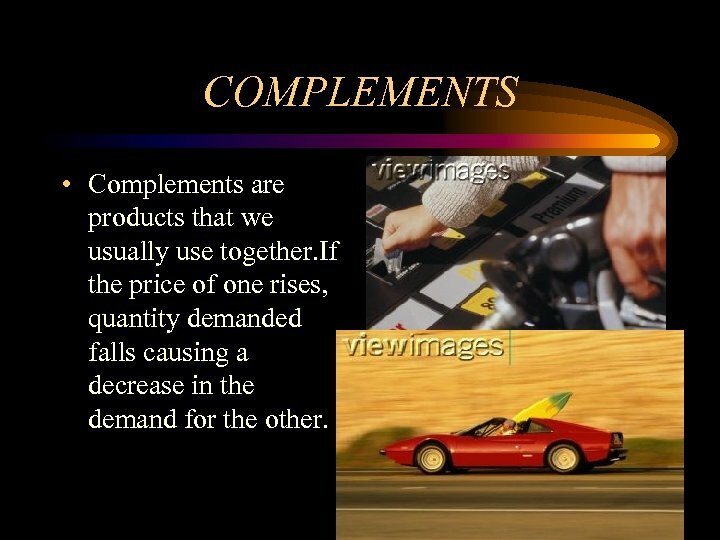 COMPLEMENTS • Complements are products that we usually use together. 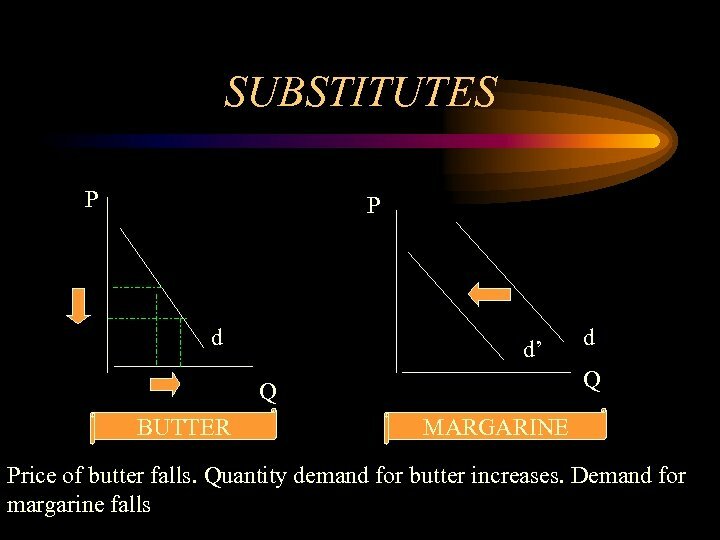 If the price of one rises, quantity demanded falls causing a decrease in the demand for the other. COMPLEMENTS P P d CARS Q d d” Q PETROL Price of cars falls. 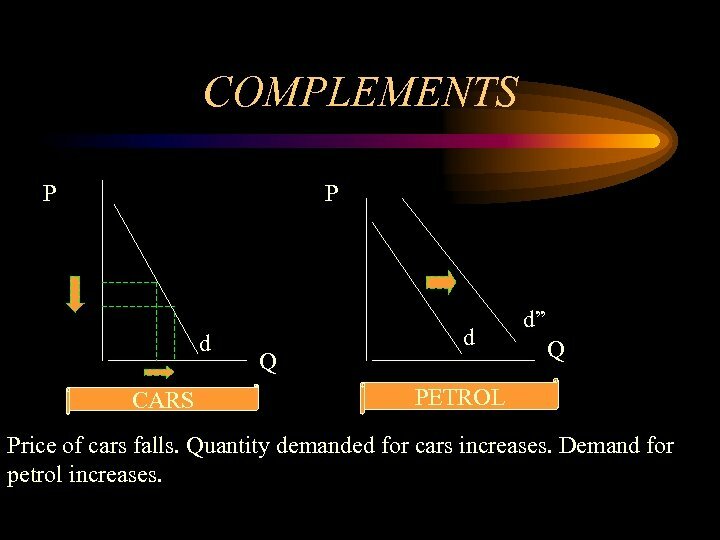 Quantity demanded for cars increases. Demand for petrol increases. 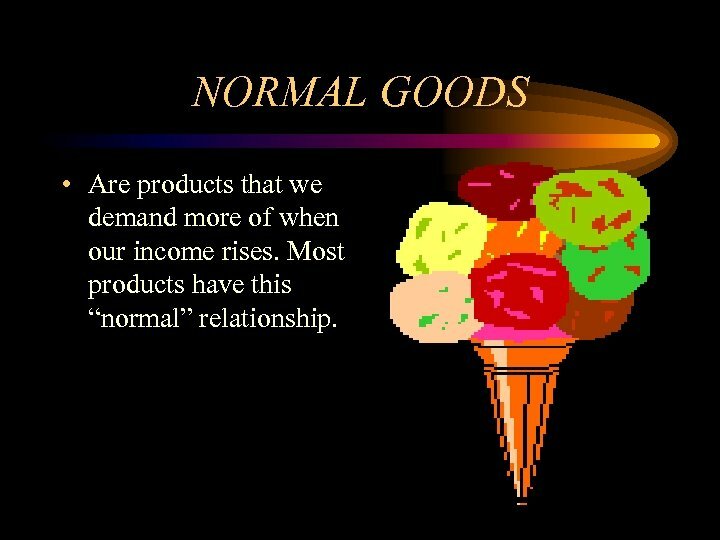 NORMAL GOODS • Are products that we demand more of when our income rises. Most products have this “normal” relationship. 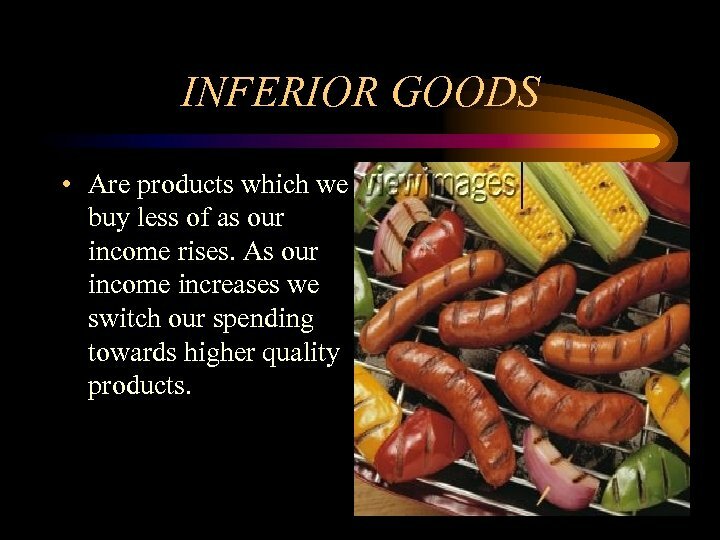 INFERIOR GOODS • Are products which we buy less of as our income rises. As our income increases we switch our spending towards higher quality products. 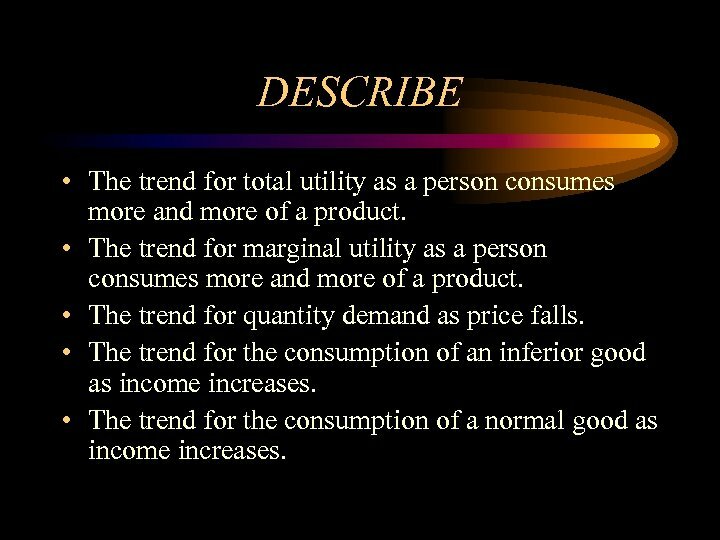 DESCRIBE • The trend for total utility as a person consumes more and more of a product. 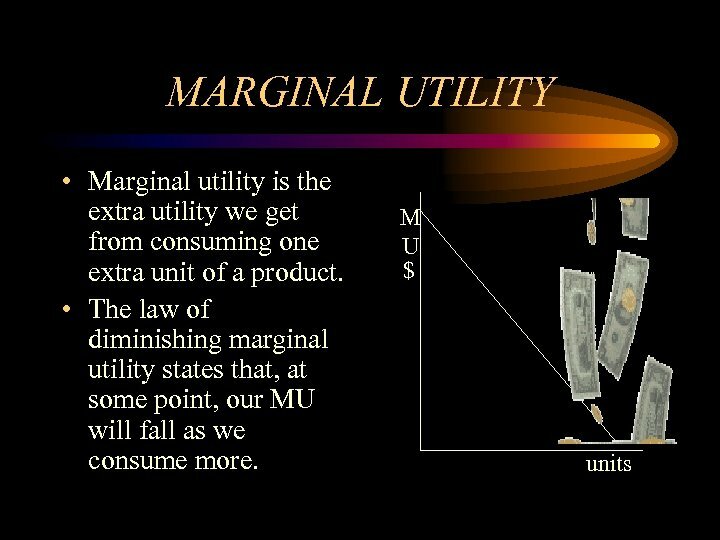 • The trend for marginal utility as a person consumes more and more of a product. 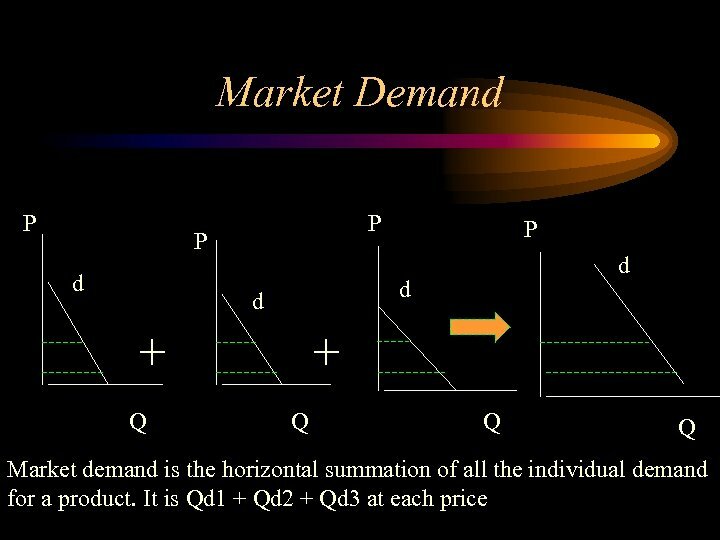 • The trend for quantity demand as price falls. 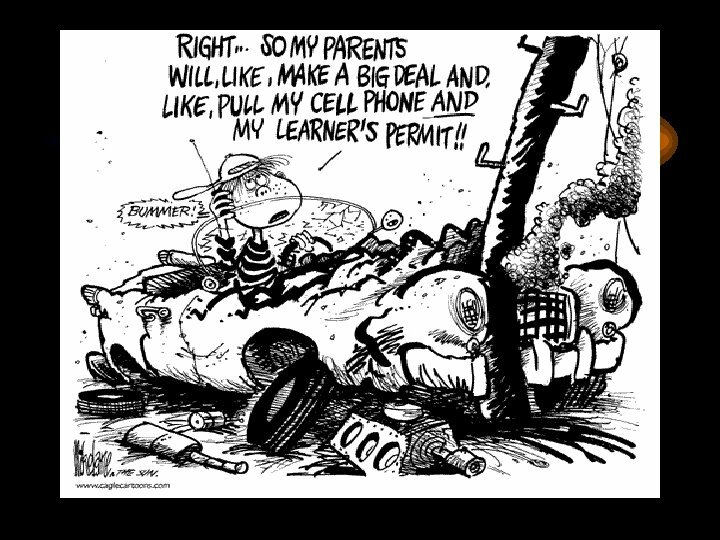 • The trend for the consumption of an inferior good as income increases. • The trend for the consumption of a normal good as income increases. 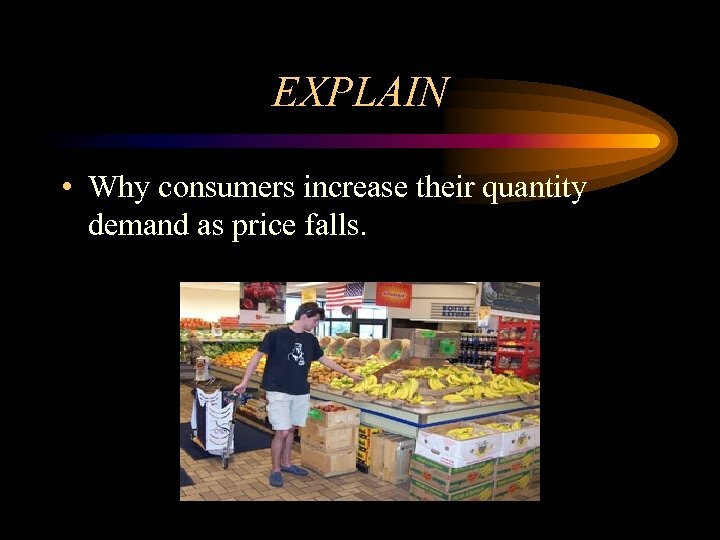 EXPLAIN • Why consumers increase their quantity demand as price falls. 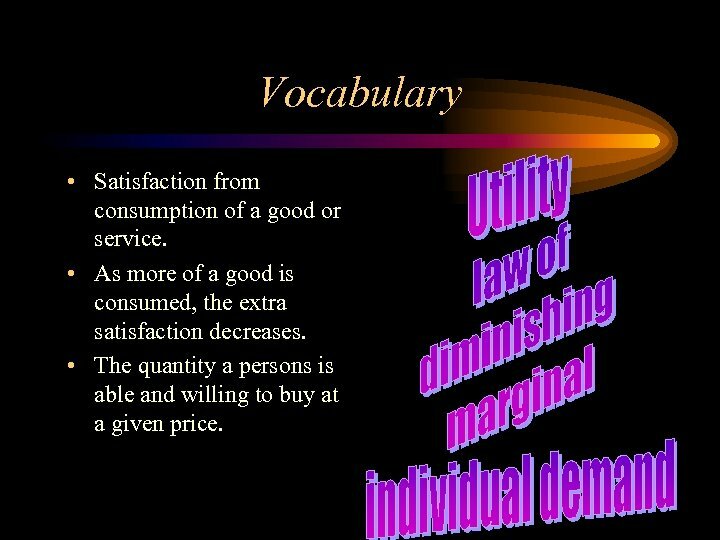 Vocabulary • Satisfaction from consumption of a good or service. • As more of a good is consumed, the extra satisfaction decreases. 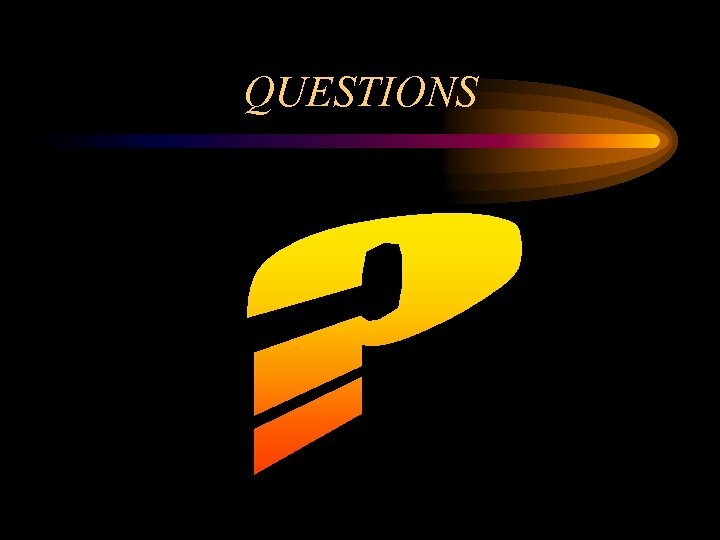 • The quantity a persons is able and willing to buy at a given price. 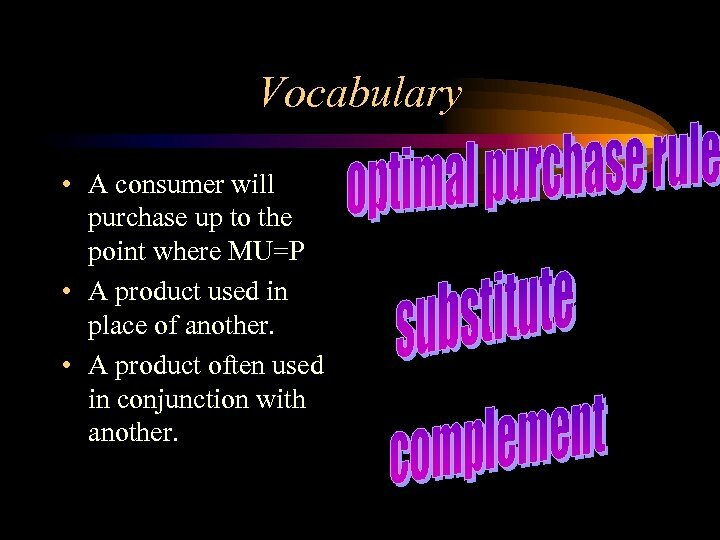 Vocabulary • A consumer will purchase up to the point where MU=P • A product used in place of another. • A product often used in conjunction with another.